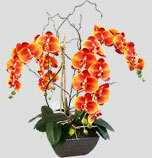 Pacific Silk Plants is Orange County’s best choice for sophisticated, high quality silk plant arrangements. We have proudly served Newport Beach, Irvine, San Juan Capistrano, Laguna Niguel, Ladera Ranch and surrounding areas for over 30 years. 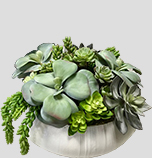 We carry an extensive selection of extremely lifelike silk flowers, orchids, succulents, and trees from the most trusted artificial plant manufacturers in the industry, as well as contemporary, decorative containers in a variety of sizes, colors, and styles. 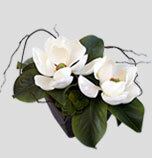 You can choose from hundreds of designs or work with a member of our team to create a custom silk plant arrangement according to your specific preferences. All of our silk botanical arrangements are handcrafted by our own in-house, professional floral designers, they are not pre-made in China. 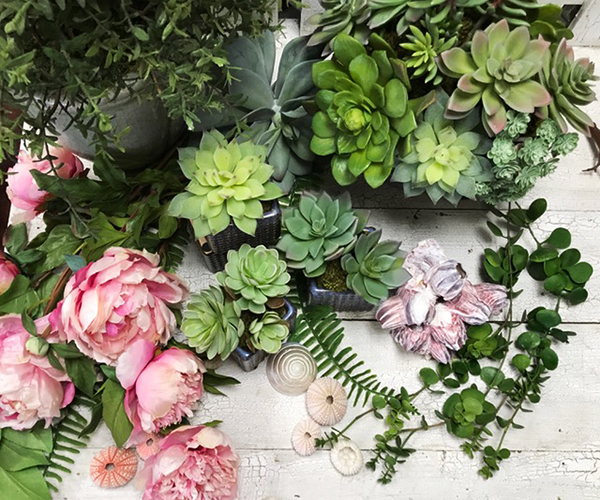 Our company has over 30 years of experience, and can provide expert guidance on creating the perfect artificial floral, tree, or succulent arrangement for your home or business. 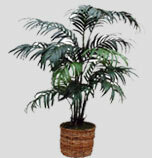 They use superb construction techniques using hand-dyed moss, and foam injection to ensure that your silk plant arrangement looks as real as possible and stands the test of time. If you are looking to fill an immediate design need, we also feature a gallery of elegant pre-designed floral arrangements. Our line arrangements can be viewed in our gallery, and make ordering fast and convenient. 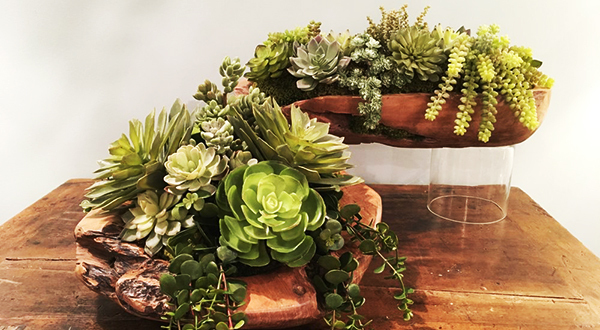 Come visit our San Juan Capistrano showroom to view our displays of realistic silk flowers, succulents, orchids, trees, and other plants. We can provide on-site consultations and local delivery with installation for a reasonable fee. Additionally, we can ship to anywhere in the continental United States. Our regular store hours are Monday through Friday, 9am - 5pm, and Saturdays by appointment.